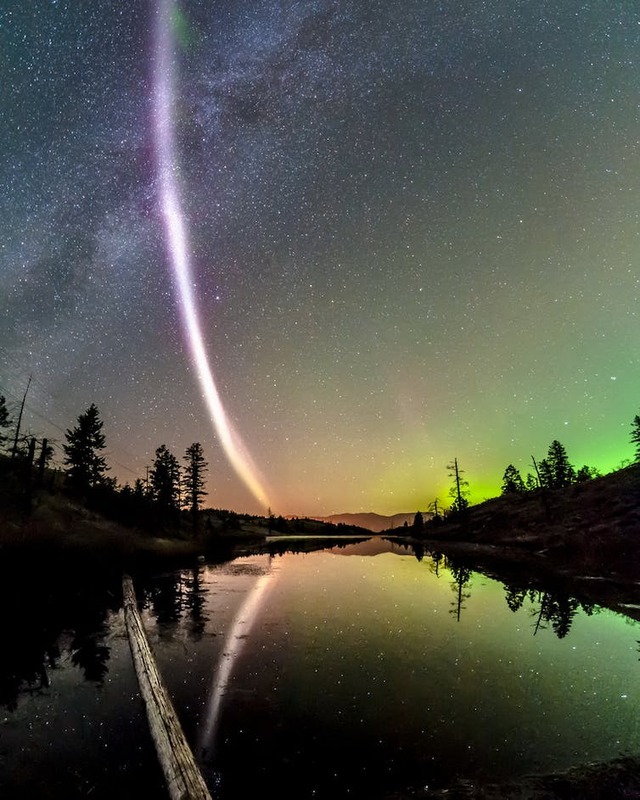 Meet Steve, the bright purple band reflected in the lake. Dave Markel Photography, ESA. They are also known as field-aligned currents, magnetic ropes and magnetic cables. Originally Birkeland currents referred to electric currents that contribute to the aurora, caused by the interaction of the plasma in the Solar Wind with the Earth’s magnetosphere. Interesting stuff, you have to be careful talking about electricity in space and even here on Earth as the establishment that is physics prefers not to study real phenomenon and will ignore it, instead relying upon speculation and mathematics to determine how the universe works. If your looking at electrical effects here on earth, you should also look further to the sun, to determine what drives geomagnetic storms and also a lot of our warming and cooling patterns. The electrical generation of our weather can be traced to sunspots, which are magnetic with positive and negative aspects. They lead to charged plasma ropes called coronal loops, that connect between a positive and negative sunspot. These loops can then explode if there is enough charge in them. This is a coronal mass ejection and causes particles to hurtle towards us (if the solar coronal loop is pointing at us), these particles interact with our magnetosphere and create phenomena like the aurora. It is an electrical effect from the sun which produces electrical effects here on earth. If you get the chance read “Weathermans guide to the sun” by Ben Davidson, not in libraries (just like books on the great physicist Nikola Tesla) but you will find on the net and is not expensive. If your keen on more books that do not subscribe to speculation but observations try Halton Arps “Quasars, Red shift and controversy”, there is one copy in New Zealand’s library database, be warned though he was black listed for his observations and forbidden to use the telescopes in the US because his observations do not agree with the mathematical blackboard universe theory.